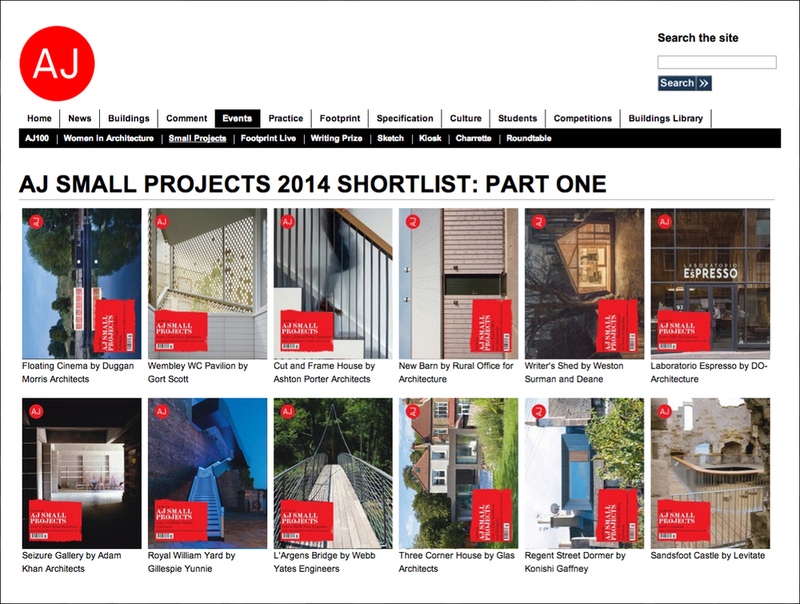 We are absolutely delighted to see Laboratorio Espresso on the shortlist for AJ Small Projects 2014. Excitingly, we'll be heading off to London next month to present the project to the judging panel : Sam Jacob (formerly of FAT), Simon Silver (Derwent London), Paul Reed (Marley Eternit), Rory Olcayto (AJ acting editor) and Hattie Hartman (AJ Sustainability editor). Yikes! 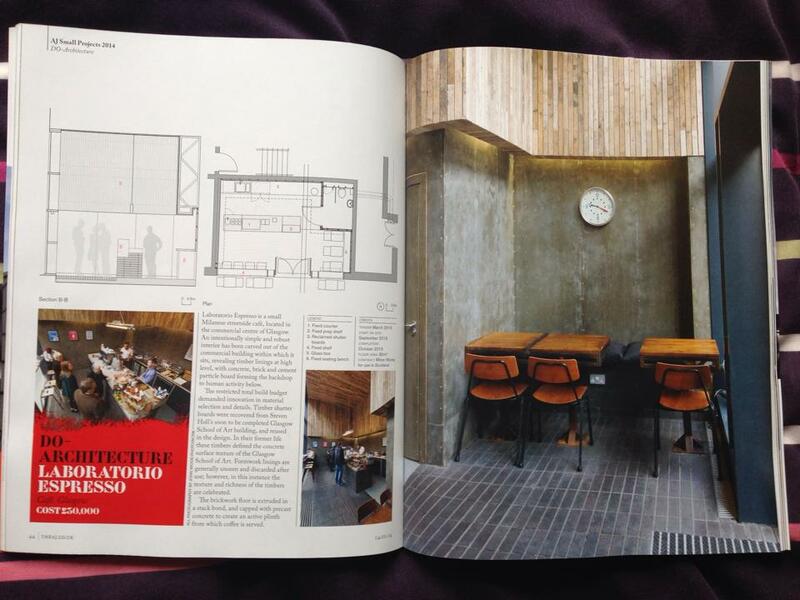 Our clients aspired to create a unique, coffee focused, Italian cafe in Glasgow's city centre. 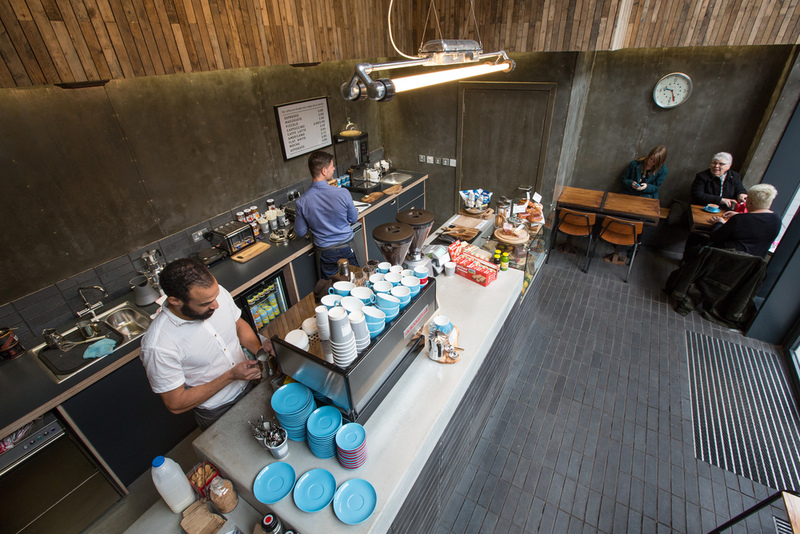 The premises have a very small footprint, but a really high ceiling. At the same time as developing this project, we have been avidly watching the construction of Steven Holl's new building at Glasgow School of Art. This is a concrete building, and we have had opportunity to visit the site as construction progresses there. The timber panels used to shutter the concrete during the pours have been lovingly salvaged (with permission of course!) and given a new life in Laboratorio Espresso. The timbers are oiled as part of the concrete processes, and they have a wonderful, weathered quality due to their former life on Garnethill. 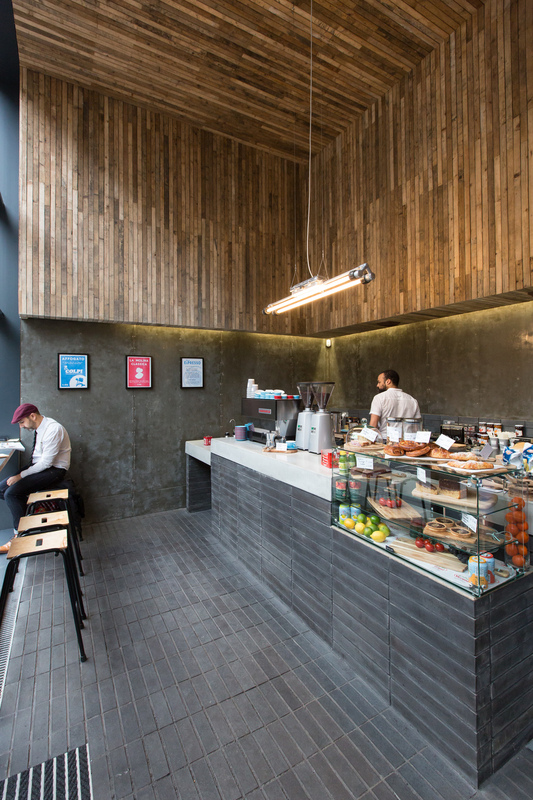 The timbers are accompanied by simple, robust materials, with a straightforward plan to keep the focus on the coffee.